We have been big fans of london based Robert Ryan's emotive illustrations and his beautiful paper cuts. 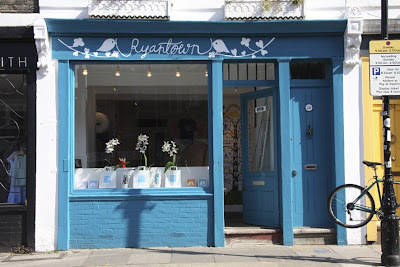 On a recent trip to Columbia Road Flower Market we spotted that Robert has now opened his own store, "Ryantown". The shop is stocked full of fantastic Robert Ryan products from screenprints, textiles, ceramics, books and some really nice wooden carved keys. If you are in East London you need to get down to Columbia Road and check out this shop.